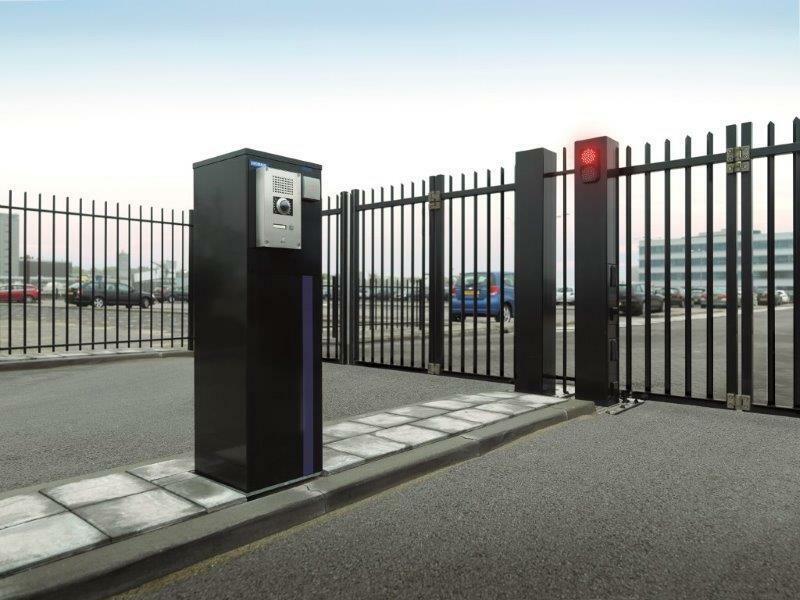 Heras, experts in perimeter protection, has launched a range of high security bi-fold gate solutions designed to provide safe entrance control in a multitude of environments and applications where space, speed, safety and security matter. Organisations can rely on the continuity of their business operations due to the sGate’s highly reliable design that allows for fast and continuous operation and traffic flow. 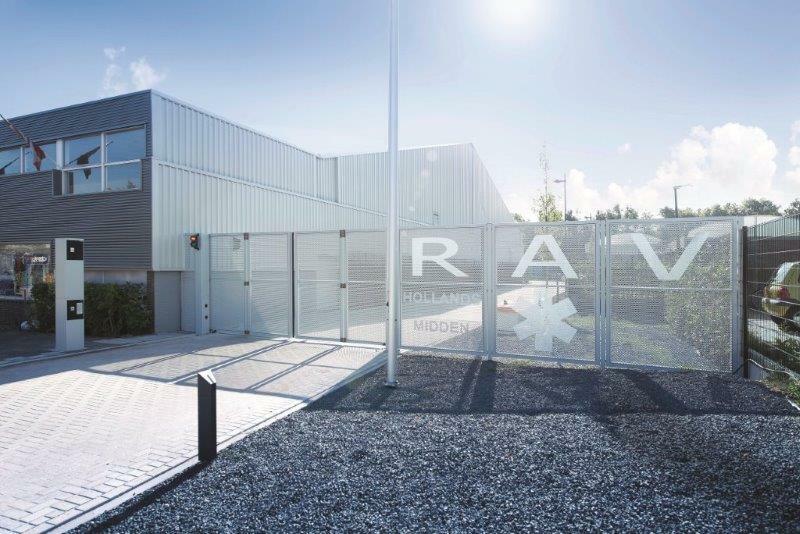 The sGate, which seamlessly integrates with other Heras perimeter security solutions, was launched in September across Europe. Heras is offering three sGate options to suit different application areas. The first is sGate trackless solution - which is the industry standard – this model is ideal for environments where unrestricted opening is important or when a bottom track is not convenient (as it may be exposed to sand or stones by nature of the application) and where the gate needs to smoothly integrate with the fence line. 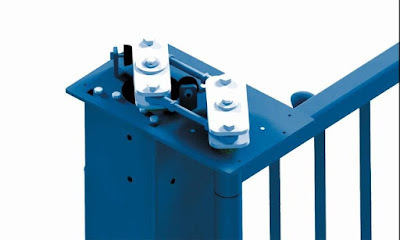 This option is also suitable for very wide passage openings (up to eight metres). Heras is also offering two additional options to meet other, specific organisational requirements. The sGate bottom guided (top image) solution is ideal for unrestricted opening heights or where the gate is frequently used for heavy vehicles. Its full concrete foundation covers the entire gate opening width, this eliminates the risk of a column being tilted out of position as heavy vehicles pass through which would otherwise cause the gate to not close properly. The gate can also integrate smoothly with most fence lines. 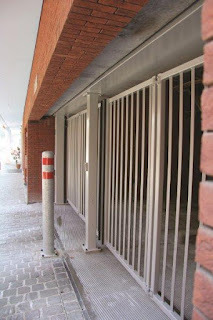 Finally, the sGate top guided solution can be used in situations where there is a specific height restriction, for example, in an underground car park, or if there is a requirement for the opening to be completely sealed to prevent intruders climbing over the gate. The sGate range, manufactured with high strength S355 quality steel, has been tested to meet the latest industry standards and guidelines for powered gates, including safety EN 13241. 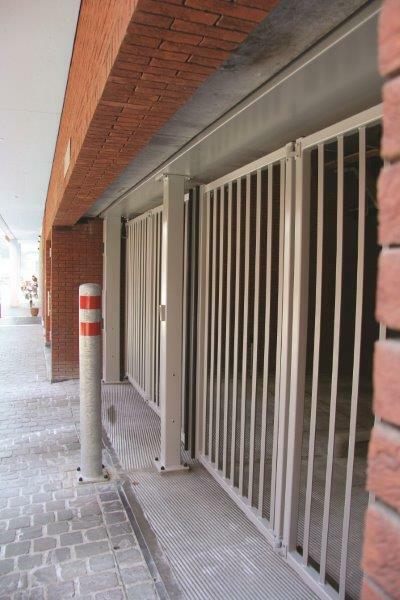 With its column design providing a very stable base, the gate can withstand the more extreme weather conditions as it has been accredited to meet windloads of up to 700 N/m2 (= windclass 3). Each gate is equipped with ten safety edges and two detection loops and tubular hinges, which removes any crushing risk at column / leaf point. The gates also include two independent sets of photocell detectors each with their own communication channel, making it impossible for them to influence each other, and thereby guaranteeing correct operation. The photocells are instrumental in maintaining absolute safety; if they detect an obstruction, the gate will immediately stop and hold still. Before the gate starts moving, the control system first checks the status of the safety edges and photocells to ensure there are no faults.